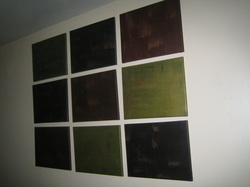 This is the newest addition to my canvas art collection. 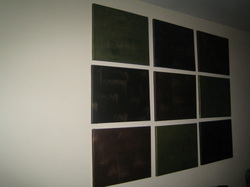 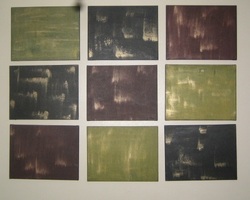 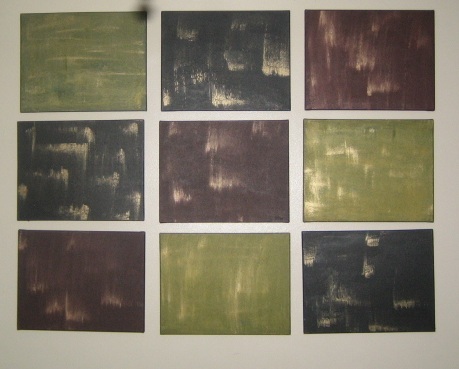 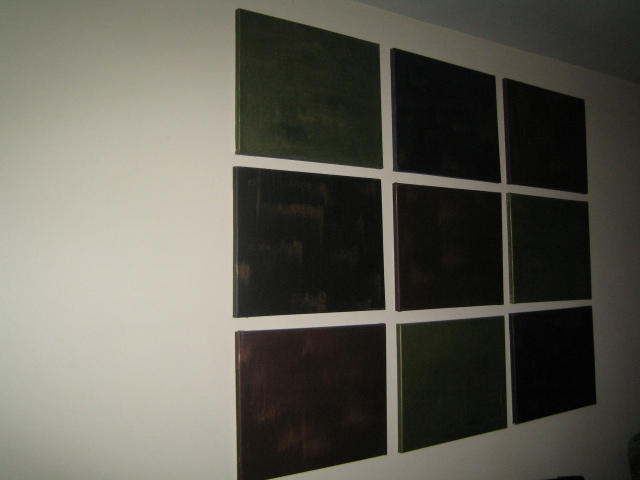 This is a nine piece painting inspired by nature and painted in three different natural earth toned colors. 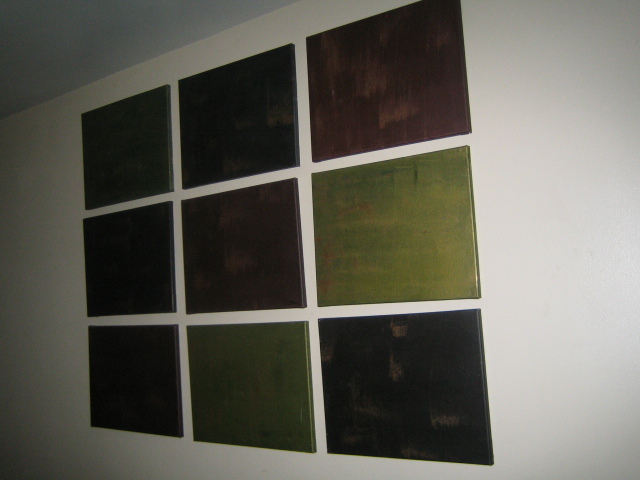 This painting is done in my signature style with iridescent over tones.